Sparkling sake and pisco cocktail with a grape garnish at Zengo. I was recently invited to a tasting highlighting piscos from the Peruvian company, Macchu Pisco at Richard Sandoval’s restaurant, Zengo in New York City. 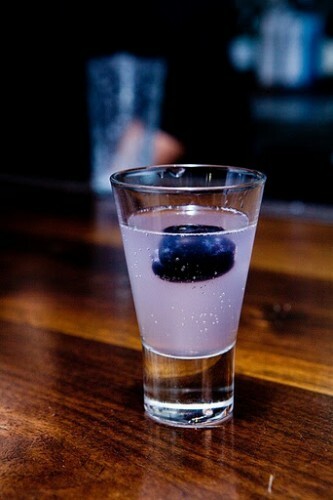 The occasion was to showcase a special pisco called Nusta Pisco. The special menu was entitled “Lima to Tokyo,” a menu combining Japanese and Peruvian cuisines which was both complex and focused at the same time. By the end of the evening, we had tasted three piscos neat and several cocktails made with ingredients such as sake, rum and Japanese whisky. 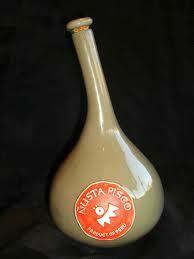 As my expertise is more on fermented and distilled products, I’ll turn my attention to the pisco. As a distillate from fruit, grapes in this case, pisco is a brandy. I am not going to get into the Chile vs. Peru debate regarding whose pisco reigns supreme, but for those of you who know me, you can probably guess my preference. What I find most impressive about Peruvian pisco is, on top of not being allowed to age in barrel, it must be distilled to proof. This means no water can be added to bring it down. What you distill is what you get. Peruvian Pisco 101: Ok, so it’s distilled from wine made from grapes. What grapes are we talking about here? There are eight varietals which can be used: Quebranta, Negra Criolla, Mollar, Italia, Muscat, Albilla, Torontel and Uvina. There are also four different styles: Acholado (literally meaning half breed, but we can remember this as a mixture), Aromatics (as the name suggests it’s a style intensely aromatic with a grapey profile), Puro (a single varietal most typically made using the Querbranta grape or another non-aromatic), Green Must aka Mosto Verde (the must or grape juice is not fully fermented). Macchu Pisco’s namesake pisco is a Puro produced using the non-aromatic Quebranta grape. I find the nose to be very subtle with fresh green grape skin aromas along with a touch of an earthy minerality. Their La Diablada Pisco is produced in an Acholado style from Quebranta, Muscat and Italia. This is a mix of aromatic and non aromatic varietals and creates an intense grapey fragrance with a slightly slick mouth feel. I also got a taste memory of red hot cinnamon candies upon exhalation, so the name, La Diablada, fits. We tasted those two piscos neat to kick off our dinner. Our dessert was their latest product called Nusta Pisco, which is produced in a Mosto Verde style. This can be produced from a variety of grapes, but they have chosen to only use the aromatic Italia grape. In this style, the fermentation is stopped leaving sugars that have not been converted to alcohol. Despite this, it is still bottled at 80 proof. What I found in the glass was an orange and grape profile with a touch of green herbaceousness playing along. 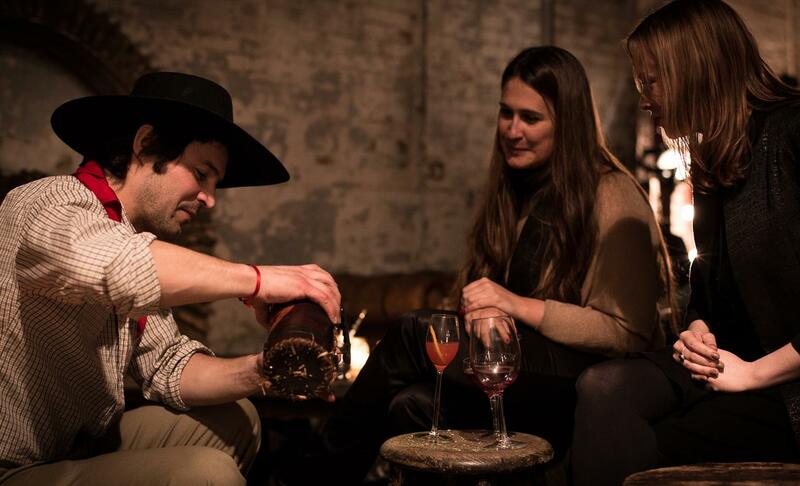 Unfortunately, unless you are willing to rack up some air miles by taking a trip to the UK, you won’t be able to taste this rare product–for the foreseeable future, the Nusta Pisco is not being released in the US. 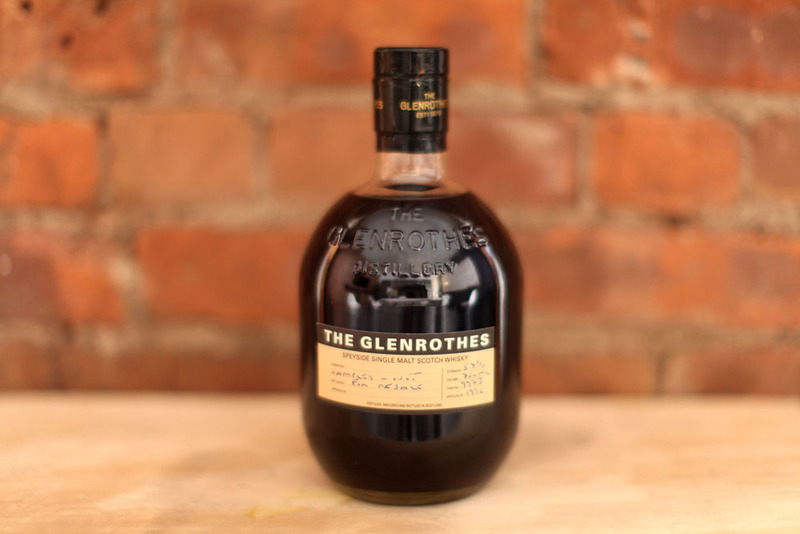 Only 100 bottles are produced each year, retailing for $100 each. Macchu Pisco's rare Nusta Pisco. 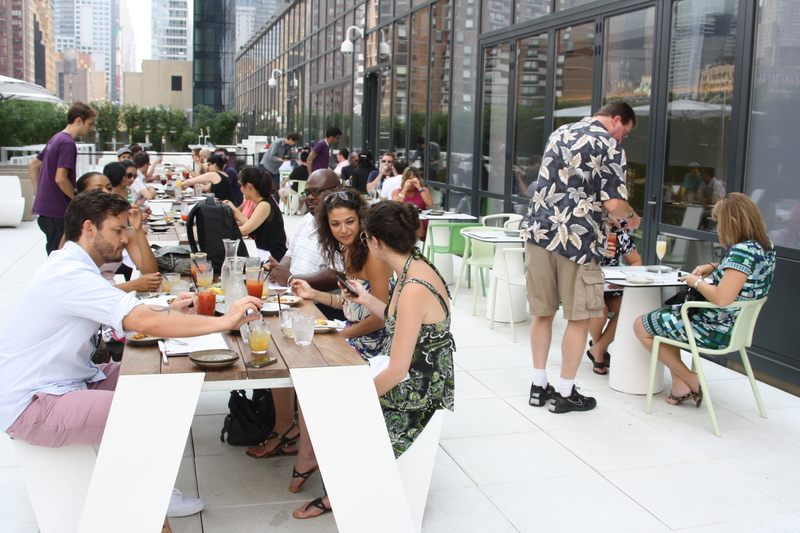 Since the summer weather doesn’t appear to be fading anytime soon, you still have time to soak up the rooftop brunch experience at Yotel New York, where The Dizzy Fizz hosted an end-of-summer Blogger Brunch last month. Each weekend, the indoor/outdoor Terrace restaurant on the ultra-modern hotel’s fourth floor offers a $35 all-you-can-eat-and-drink two-hour special–essentially, a boozy feast worthy of epic brunching. 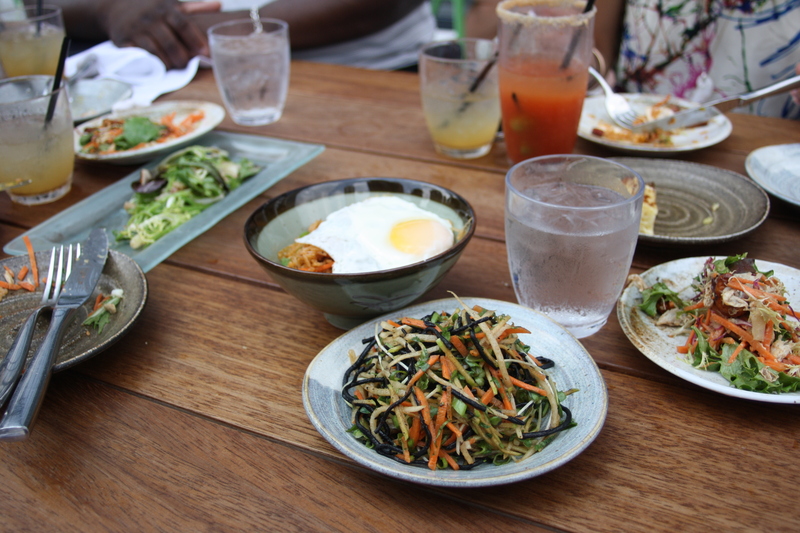 The Asian- inspired tapas menu by chef Richard Sandoval offers a refreshing take on brunch standards such as bacon fried rice with kimchi and fried egg, fruit and granola with yuzu yogurt and grilled salmon with achiote ponzu, spinach and bacon. Order as many small plates as you want during the two-hour time frame, but take note that if you arrive during peak brunch hours, you may have to order a bunch of dishes at once in order to get your fill in time. Although the brouhaha of Times Square is just a few steps away, Yotel’s spacious rooftop has a zen-like quality with its white and purple foam furniture, bamboo trees and cabanas, while still offering Midtown skyline views. For those times when you find yourself in the no man’s land of Times Square West/Hell’s Kitchen, the scene at Yotel is a definite must-visit for any discerning drinker or diner. Brunch on! 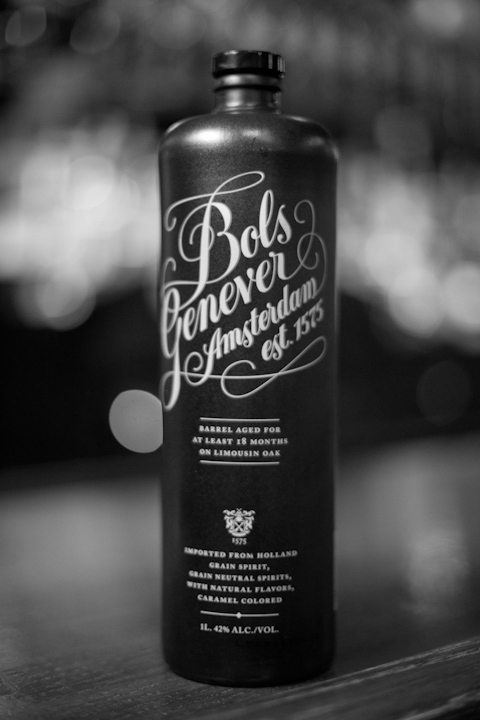 Bols Barrel Aged Genever, launching in September. Photos by Lush Life Productions. Genever technically is a type of gin, but to all intents and purposes, it is best to think of Genever as its own category. In fact, in 2007, it was given protected spirit status like Cognac. There are a few types of Genevers out there, but let’s just talk about two: Oude (old) and Jonge (young). These are types that do not refer to the Genever’s time aging, but rather the amount of “malt wine” that is used in its production. Oude has to use at least 15% malt wine, Jonge is less than 15%. It is easy to remember in the sense of old vs. new school methods. In Bols’ case, they use over 50%. But, what is this malt wine? 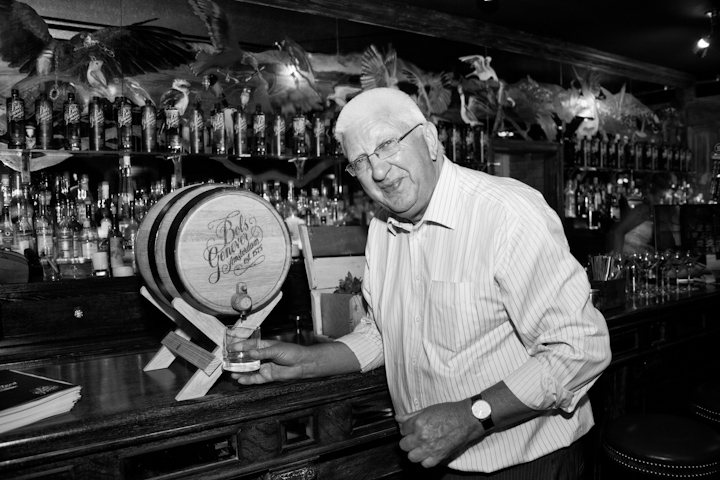 Bols Master Distiller Piet Van Liejenhorst. Whisky rocks! 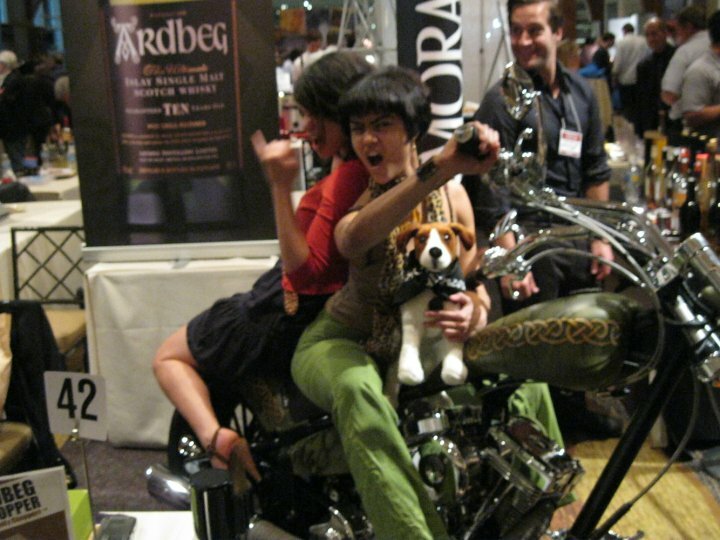 Yours truly and Carmen Operetta going wild for Ardbeg at Whisky Live 2010. Oh, is there a football game on this weekend? Super Bowl fan or not, I think we can all rally around Union Square Wines’ Martini Bowl 2011, taking place from 2 to 5 p.m. this Saturday, Feb. 5. Taste more than a dozen types of martinis featuring top vodkas and gins, including locally distilled spirits, all for free–game on! And in case you haven’t heard, Louis 649’s Tuesday Night Tastings, free tastings featuring a different spirit every week, are back in effect. At 7 p.m. this Tuesday, Feb. 8, sip Redemption Rye with brand representative Dave Schmier. 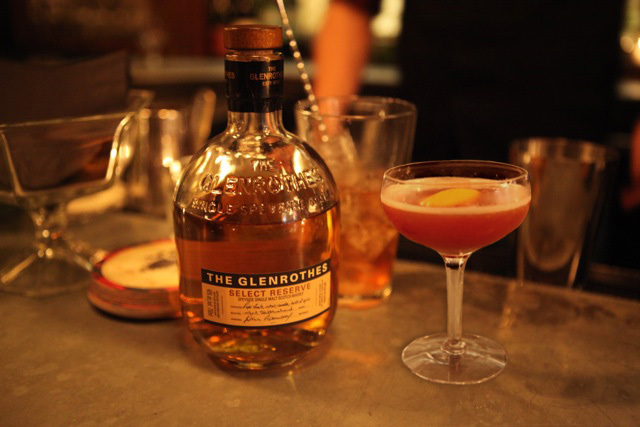 Although Whisky Live New York is two months away, now is the time to get your tickets for the April 6 event–brown spirits extravaganzas like this sell out fast. 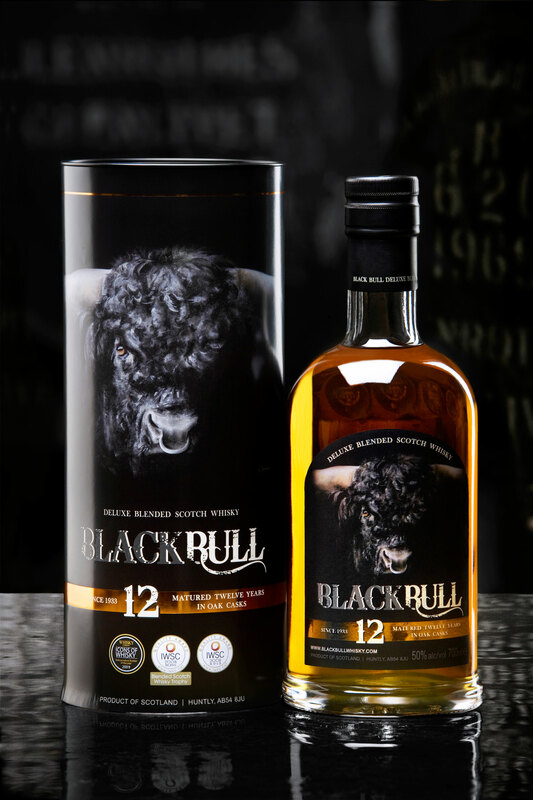 Taking place at the same venue as last year, Pier 60 at Chelsea Piers, the focus this year will be on raising awareness that Scotch and bourbon are whiskies too, said event organizer Jeffery Connell. 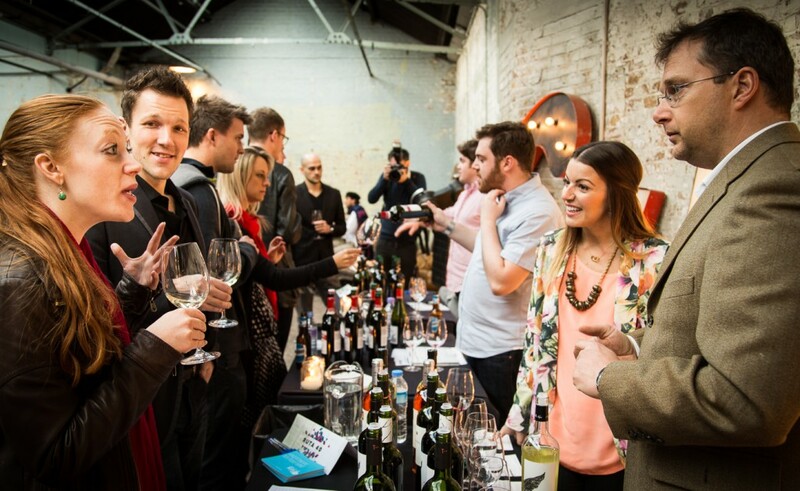 Cruise the tasting hall while you sip drams of whisky from Kentucky to Scotland, meeting the distillers, producers and ambassadors behind the brands. I attended last year, and whiskies I tried included Maker’s 46 and Suntory’s Hibiki 12, which weren’t even on the market yet. I watched a live iron bartender competition featuring some of NYC’s top mixologists, entered an Ardbeg chopper sweepstakes (guess I didn’t win), and I even recall some amazing chocolate truffles among the impressive buffet spread. 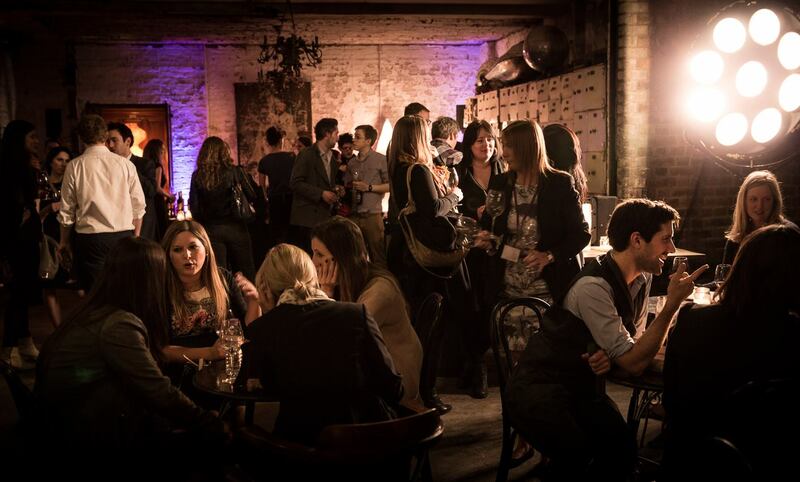 Mostly, it was a memorable event where I connected with whisky fans from all over–I hope to see you there this year!